When a leading international consumer goods company decides to expand its business overseas, it will not take a shotgun approach. Neither will it think short-term and rely on the weather report. For serious decision-makers, the new territory has to match what’s back home in terms of business climate, regulatory systems, market potential and economic strength. A place where setting up a company goes beyond arduous paperwork and numbers. A land where passion for growth is imbibed in the culture and received with warmth. And Unilever found such home in Singapore over 50 years ago. “Singapore’s superb business infrastructure, excellent human capital, connectivity and a strong base of supporting industries combined with the support provided by the Singapore Government make it an ideal place for a regional business hub,” said Paul Polman, CEO of Unilever. His company is just one of the many global giants that thrive in Singapore’s progressive business environment. So what makes Singapore attractive to entrepreneurs and an ideal second home for foreign businesses? According to the Global Competitiveness Report 2015-2016, Singapore is considered “the best performer” when it comes to the overall efficiency of markets. 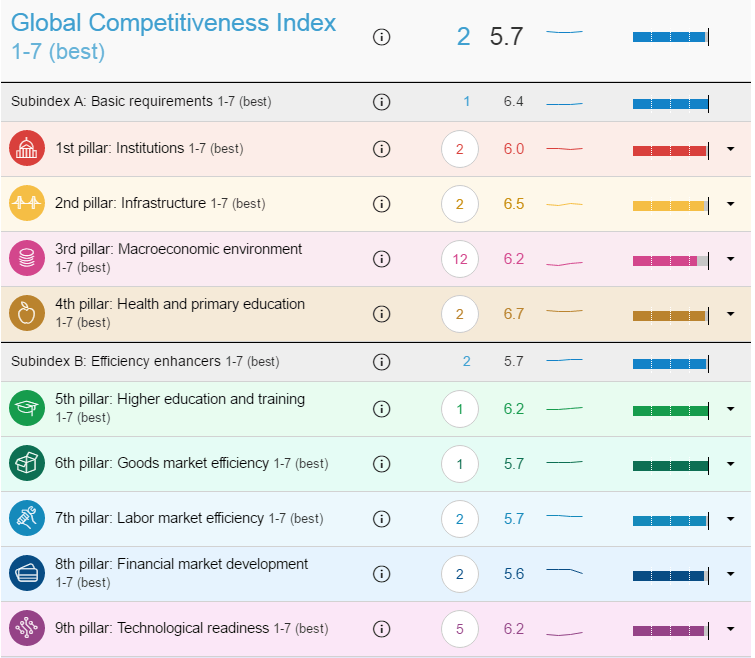 Singapore also ranks second in the Global Competitiveness Index (GCI), and one of the two economies in the top three in goods, labor, and financial market efficiency. Among the factors that influenced Singapore’s ranking are its flexible labour market, higher education and training system, technological adoption, business sophistication, and innovation. The report also commends city-state’s top-notch infrastructure, transparent and efficient institutional framework, and macroeconomic environment. 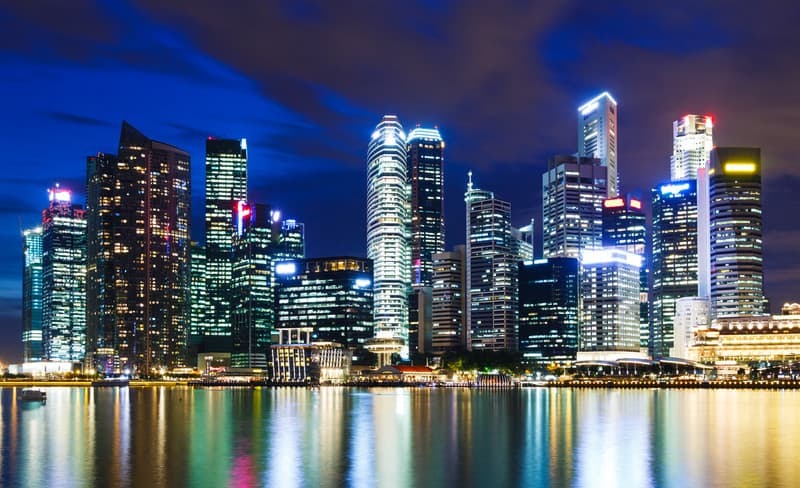 Meanwhile, The Economist’s Intelligence Unit (EIU) predicts that Singapore will continue to be the world’s best place for doing business from 2015 to 2019. This vibrant forecast springs from equal opportunities provided by the city-state for local and overseas firms as well as “a favourable attitude towards foreign investment,” which is deemed as the city state’s biggest strength. EIU expects the government to sign bilateral and multilateral free-trade agreements to widen market access for Singaporean firms. Singapore is one of the three countries to top the 2015 IMD World Competitiveness Scoreboard, which indicates how 61 countries manage their resources and competencies to achieve long-term value creation. Singapore also dominates various global rankings for the areas of technology and innovation. Based on the Global Information Technology Report 2015, Singapore secured the top spot of the Networked Readiness Index 2015, beating Finland, Luxembourg, Japan and many European countries. The report explains that Singapore offers the most conducive business and innovative environment worldwide and ranks second for the quality of its regulatory framework. The Information and Communications Technology (ICT) readiness of Singapore is attributed to its highly skilled workforce and infrastructure. Singapore ranks third in terms of the country’s laws related to the use of ICTs (e.g., electronic commerce, digital signatures, consumer protection), second in the protection of intellectual property, including anti-counterfeiting measures, fourth in terms of international Internet bandwidth, second in ICT use and government efficiency, and first for mobile broadband Internet subscriptions. A report from the Ministry of Trade and Industry (MTI) indicates a 2.0 per cent increase in the country’s economy on a year-on-year basis in the final quarter of 2015, and by 2.1 per cent for the whole of 2015. Like other leading countries, Singapore is not extremely invulnerable to economic headwinds caused by changes in international affairs. But the government is relentless in pursuing programs and policies that ease the impact on Singapore’s economy, protect its workforce, strengthen its institutions, and retain its standing as Asia’s business hub. The Monetary Authority of Singapore claims in a report that respondents expect GDP growth to reach 2.2% for the year as a whole for 2016, while CPI-All Items and MAS Core Inflation are forecast to come in at 0.5% and 1.0% respectively. Consumer spending in Singapore remains strong as it is expected trend to grow at six per cent annually, amounting to $176 billion in the next five years. Even the hiring activity of many employers continues to increase as the government urges them to help establish a manpower-lean economy. According to IE, Singapore has signed 42 Investment Guarantee Agreements and 75 Avoidance of Double Taxation Agreements internationally. Singapore is involved in the ASEAN-Australia-New Zealand-Free Trade Area, the ASEAN-China Free Trade Area, the ASEAN-India Free Trade Area, the ASEAN-Korea Free Trade Area and the ASEAN-Japan Comprehensive Economic Partnership. Trade and Industry Minister Lim Hng Kiang said in his speech at the Global Trader Dialogue in 2015 that Singapore can widen its role as a major global trading hub because it is the third-largest foreign exchange market, with the best US dollar liquidity in Asia and the largest offshore yuan hub. Since an FTA is an international treaty that aims to enhance the business environment between participating countries, it is easier for businesses in Singapore to gain wider access to key international markets and develop significant commercial ties. FTAs are also created to ease tariffs, quota restrictions, and other barriers to trade. Transparent governance generates fair policies, efficient collaborations with the private sector, and open discussions on programs that can improve infrastructure, regulations, and other areas necessary to keep businesses moving forward. Transparency International, a non-government organization that fights against corruption worldwide, released “Corruption Perceptions Index 215,” and Singapore rose as the least corrupt in Asia and the eighth least corrupt in the world. Hiring educated individuals means higher chances of productivity, better work attitude, and quality outcomes for employers and the society. Singapore’s efforts to improve its education system have paid off. First, figures from an Organisation of Economic Co-operation and Development (OECD) study, which focused on the correlation between cognitive skills and economic growth, revealed that Singapore received the highest mathematics and science scores among 76 countries. Second, Times Higher Education World University Rankings 2015-2016 listed The National University of Singapore as the number one institution in Asia. In our recently published Guide to the Singapore Labour Market, we discussed that whether you are an employed local, applying for a Singapore Employment Pass or setting up a company in Singapore, there are corresponding policies and programmes you just need to know in order to enjoy government grants and incentives and rewarding work opportunities. The IE reported that 47% of the Singapore workforce has a tertiary education and 72% are literate in at least two languages. Singapore secured the highest ranking for labour force in terms of workers’ productivity and general overall attitude in the 2014 Business Environment Risk Intelligence (BERI) Report. Singapore is known for supporting programs, businesses, and individuals who are into innovation. The government does not only incentivise pioneering ventures; it also protects their concepts and outcomes, such as products and services, to avoid putting businesses at risk. The World Economic Forum’s Global Competitiveness Report 2015/2016 ranks Singapore as the fourth in the world and top in Asia for implementing the best IP protection. The U.S. Global Intellectual Property Center’s International IP Index 2016 also placed Singapore in the fourth place. 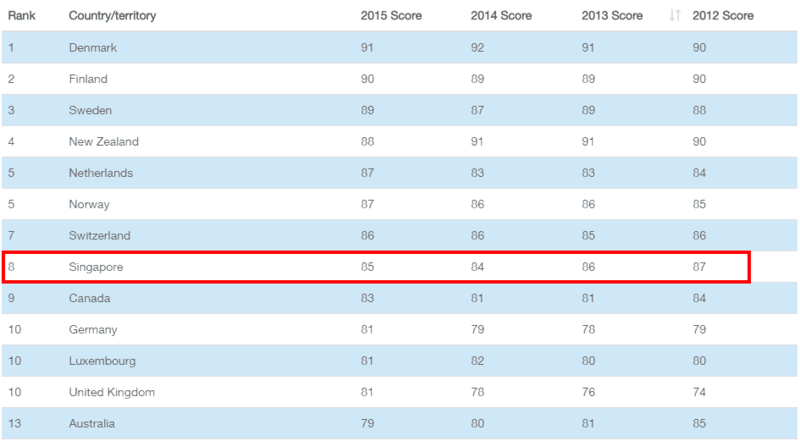 Singapore tops the Innovation Input Sub-Index of the Global Innovation Index 2015. The government offers tax incentives, cash grants, and financing schemes to support existing businesses and encourage more individuals to take the entrepreneurial road. For example, SPRING Singapore is an agency under the Ministry of Trade and Industry (MTI) that provides assistance and funds to Singapore enterprises in the areas of financing, capability and management development, technology and innovation, and access to markets. Some of its funding programs are the SPRING Start-up Enterprise Development Scheme (SPRING SEEDS) and Business Angel Scheme (BAS). Other funding opportunities are the ACE Startups Grant, Technology Enterprise Commercialization Scheme (TECS), ComCare Enterprise Fund (CEF). 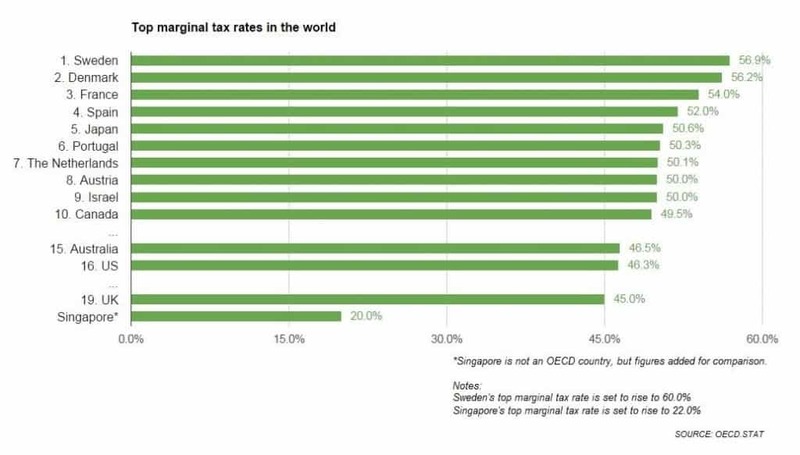 Compared with other countries, Singapore has the lowest yet competitive tax rates. Apart from that, Singapore attracts global businesses through its simple and business-friendly tax system that offers a sustainable and stable platform for growth. Competitive income tax rates are levied on both companies (17%) and individuals (maximum tax rate of 22%), according to IE. Singapore also offers tax deduction for businesses and individuals. For example, new start-up companies can enjoy a full exemption on the first $100,000 normal chargeable income and 50% more on the next $200,000 of normal chargeable income for the first three consecutive Years of Assessment. Meanwhile, individuals can claim tax deductions on employment expenses, donations, reliefs, and rebates. Well-known international trading companies gearing towards the expansion of their operations in the country are incentivized through the Global Trader Programme (GTP), which offers reduced corporate tax rate of 5% or 10% on qualifying trading income for three or five years. IE states that only companies which conduct substantial international physical trading activities, invest significant directly attributable local business spending and employ experienced trading professionals in Singapore, are qualified for the GTP. IE emphasizes that a network of more than 70 comprehensive avoidance of double taxation agreements has been established by Singapore to avoid double taxation of income earned in one country by a resident of the other country. It offers clearer taxing rights between Singapore and her treaty partner on different types of income arising from cross-border economic activities between the two countries. Many studies link anxiety and unexceptional performance at work as well as workplace stress and poor employee health. While those issues are rampant in other countries with high-performing industries, Singapore been improving in the areas of managing stress levels and achieving a work-life balance. 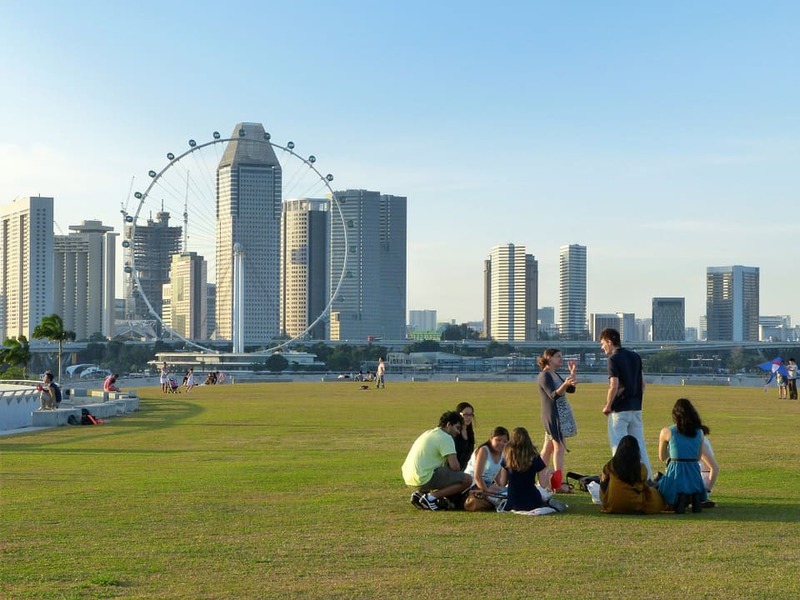 The World Happiness Report 2016, released by the Sustainable Development Solutions Network for the United Nations, announces Singapore as the happiest country in the Asia Pacific. The other Asian countries in the top 50 are Thailand, Taiwan, and Malaysia. The evaluation is based on factors such as gross domestic product per capita, social support, life expectancy, freedom to make life choices, freedom from corruption, as well as generosity. Another happiness survey, the National Trades Union Congress (NTUC) U Family online poll conducted in November 2015, reveals that nine out of 10 working Singaporeans are happy overall. Some of the reasons for their happiness are marriage and family. Meanwhile, good working relationships with colleagues and bosses are the reason why the working respondents claim being happy and motivated in their current jobs. Citing these results, NTUC U Family recommends more family-friendly workplace practices, including flexible work arrangements, family-care leave, and access to family-supportive facilities. World Bank Group’s Doing Business 2016 report depicts how easy or difficult it is for entrepreneurs to open and run a small or medium-sized business. The countries are evaluated based on: starting a business, dealing with construction permits, getting electricity, registering property, getting credit, protecting minority investors, paying taxes, trading across borders, enforcing contracts, resolving insolvency and labor market regulation. Data shows that starting a business in Singapore requires 3.00 procedures, takes 2.50 days, costs 0.60% of income per capita and requires paid-in minimum capital of 0.00% of income per capita. When it comes to protecting minority investors, Singapore ranks first worldwide with a score of 8.30. “The protecting minority investors indicators are based on detailed information collected through a survey of corporate and securities lawyers about securities regulations, company laws and court rules of evidence and procedure,” the report said. On the ease of paying taxes, Singapore ranks fifth out of 189 economies. The report also reveals that firms, on average, make 6.00 tax payments a year, spend 83.50 hours a year for income tax filing, and pay total taxes amounting to 18.40% of profit. Singapore company registration – A private limited company is the most preferred business entity when registering a company in Singapore. Singapore branch office registration – This applies to foreign companies planning to do business in Singapore. A Singapore branch office is considered as an extension of the foreign company and not as a unique or separate legal business entity. Offshore company setup– An offshore company is considered a non-resident company. It is exempted from tax and is not required to abide by regular bookkeeping or reporting requirements. A vibrant business environment is paramount to the launch and expansion of a business. When choosing a location for business operations, decision-makers should carefully assess if the country is strong enough to endure any inevitable external or internal economic turmoil that can loom up and slow down its growth. Another important indication of a thriving business landscape is a government that empowers its local and foreign businessowners by streamlining structures, enhancing business and industry policies, and encouraging enterprising pursuits and innovation. All the critical factors mentioned above for selecting a country to operate a business in, such as global competitiveness, transparent governance, and tax system efficiency, point to a single truth: Singapore continues to be every entrepreneur’s heartland in Asia and the world’s top country when it comes to doing business and beyond.